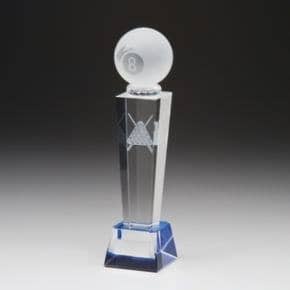 Premium optical crystal with lasered frame and topped withthe eight ball. 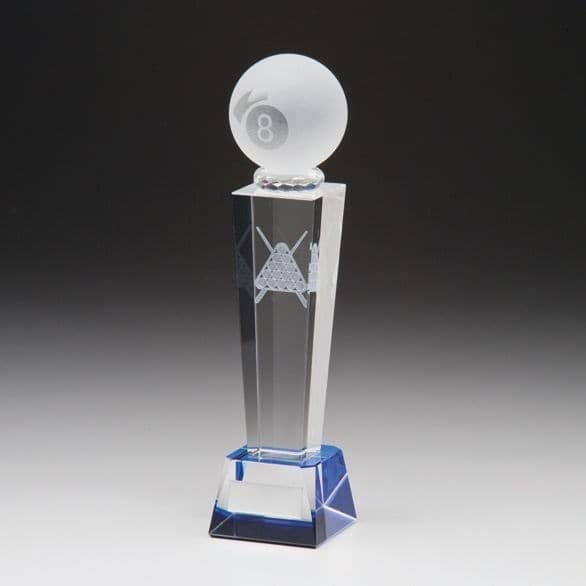 Engrave the the crystal or plate to personalise the award. Available in three sizes 175mm, 220mm and 245mm.